 Teleradiology requires emphasis on workflow management - ONRAD, Inc.
AuntMinnie.com | Setting up a distributed teleradiology network is readily achievable today with technology currently available in the market. But IT isn’t the only factor to focus on when building collaborative teleradiology networks, according to Dr. Jan Schillebeeckx, a healthcare consultant in Bonheiden, Belgium. Workflow optimization must also be utilized to achieve efficiency and success, said Schillebeeckx, who is also a radiologist at Imelda Hospital Bonheiden. He discussed teleradiology workflow management issues during a session at the 2011 European Congress of Radiology (ECR), held earlier this month in Vienna. Today, there is a shortage of radiologists in some countries and regions around the world, Schillebeeckx said. And imaging utilization is on the rise due to an aging population and an increase in chronic disease. Imaging technology has also improved. “Diagnosis is becoming more and more complex and requires new visualization tools, and there is more and more demand for subspecialization,” he said. The 8% increase in imaging volume is expected to be greater than the 2% increase in the number of radiologists, according to Schillebeeckx. In addition, patients have growing expectations for radiology services. “They don’t want to wait a long time to have an examination, and they want the result as fast as possible,” he said. Healthcare technology research firm KLAS has reported that hospitals and clinics today hold close to 40% of teleradiology contracts; the firm expects that percentage to increase to 80% in the coming years, Schillebeeckx said. “Therefore, I believe that it’s very important that we try to organize ourselves and create amongst us regional or countrywide … collaborative networks for radiology,” he said. The most important challenges to this teleradiology vision are to ensure that it develops in a manner that benefits patient care, ensures overall patient safety, and does not in any way reduce the quality of radiology services provided to the citizen, he said. Collaborative teleradiology networks require more than just IT infrastructure with IT support; they also require workflow management. “And if you work with several hospitals, you need to have administrative and management support that provides all the stakeholders with operational, analytical, and statistical [quality assurance] reports,” he said. These networks cannot work well without workflow to provide organization, however. There needs to be some form of central management, but it isn’t relevant whether it’s a commercial company, an academic hospital, or a general hospital, as long as personnel have the IT skills and human resources to organize this, he said. All participating radiology departments and hospitals need to be linked, with access to clinical information and images. And studies — along with relevant clinical information — should be immediately sent to the right specialist. If different hospitals work together, a contract should be drawn up to spell out who will be participating in the network and who will do what, he said. Participating radiologists will also need to be trained on the system. Planning should be performed to account for resource control, being aware of which radiologists are available and what types of examinations they can read, according to Schillebeeckx. All of the relevant information should also be available before the study goes on the worklist. Results need to be sent back to referring physicians, and reports should be provided in the language of the patient, he said. Billing support should also be included. In addition, radiologists also need to be able to answer clinical requests, he said. “It is very important that a radiologist in hospital A can communicate with the referring physician in hospital B, and potentially with the patient,” he said. Setting up this kind of collaborative teleradiology network requires more than just having a PACS, Schillebeeckx said.